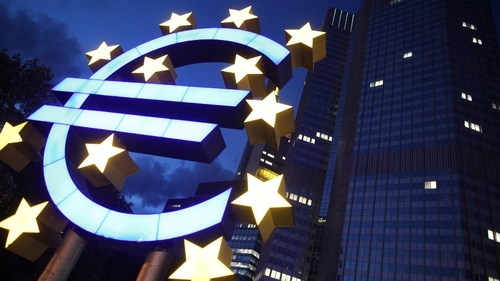 The European Central Bank has said it bought €14.29 billion of euro zone government bonds last week, trying to ease a debt crisis that threatens Italy and Spain. The latest purchases brought to €110.5 billion the total amount the ECB has so far devoted to its Securities Markets Programme. The ECB, as usual, did not specify which government bonds it had bought. A week earlier, the ECB bought a record €22 billion worth of bonds, easing pressure on Italy and Spain as the move forced down their cost of borrowing. The yields on both countries' 10-year bonds moved from above 6% to below 5% as a result. The decision does not sit well with all members of the ECB governing council however, and the German central bank, the Bundesbank, said today that buying sovereign debt issued by troubled euro zone member countries weakened their motivation to adopt 'appropriate financial policies'. Earlier, figures showed that the amount of cash deposited by commercial banks overnight with the European Central Bank spiked last week, a sign that they may be increasingly reluctant to lend. 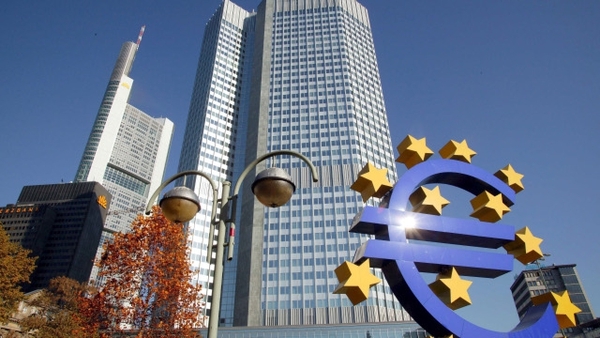 ECB data showed that commercial banks parked €107.2 billion in the central bank's deposit facility on Friday, up from €90.5 billion on Thursday. While the amount remained well below the year-high of €145.2 billion in early August, it is nonetheless a substantial amount for banks to deposit at a rate of 0.75%. This means they forego earnings rather than lend it to other banks at the current going rate of around 0.89%. On August 11, the ECB launched an exceptional six-month loan operation that saw 114 euro zone banks request a total of €49.8 billion. Pumping cash into interbank lending markets, however, might not ease financing problems for those banks considered most at risk of being unable to repay their loans. US prime money market funds are reducing their exposure to European banks, according to a report published today by the Fitch ratings agency, amid growing concern about their ability to find financing. The funds, which loan cash on a short-term basis to financial institutions, governments and companies, reduced their exposure to European banks in dollar terms at the end of July by 9% from the end of June. The reduction was 20.4% from the end of May. European banks accounted for 47% of the $658 billion portfolio of the US' top 10 prime money market funds (which held 43% of funds). Their exposure to German banks fell to 4.4% from 5.3% at the end of June, French banks dropped 14.1% from 14.3%, and British banks slipped to 10.5% from 10.6%. Exposure to Spanish and Italian banks fell to nearly zero from 0.8%. According to the Wall Street Journal, the US Federal Reserve has expressed concern that the US subsidiaries of European banks might face a liquidity crunch if their parent banks force them to repatriate funds.